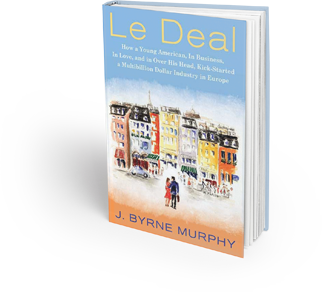 Le Deal is the award-winning memoir of Byrne Murphy’s experiences during the first decade of his entrepreneurship in Europe. Le Deal was published by St. Martin’s Press and won the Axiom Gold Medal Award for Best Memoir, 2008. It is available for purchase at Amazon.com in both hard copy and on Kindle.